I assume that you've installed xrdp and X11rdp – either manually, or automatically via the X11rdp-o-Matic & RDPsesconfig utilities. Likewise/PowerBroker Identity Services create a user directory on the linux system (the xrdp server) upon first login by that user. On my default setup, Likewise/pbis creates these directories under /home/local/SCARYGLIDERS/<username>. SCARYGLIDERS being my domain name. Obviously, your domain name and location for these directories depends on your particular configuration of Likewise/pbis. Likewise/pbis uses /etc/skel to create these new directories, so create a default .xsession file in /etc/skel, containing the desktop environment that the AD user will see upon first login. If you've got a bunch of AD users who have logged into this linux/xrdp system before, then you'll have to copy that .xsession file into each user's directory. Xrdp uses PAM to authenticate logins, so this one was remarkably easy to solve. In the directory /etc/pam.d , you will notice there is a file called xrdp-sesman. This file specifies how xrdp uses PAM to authenticate users. The default one won't authenticate against AD, so we need to change it. 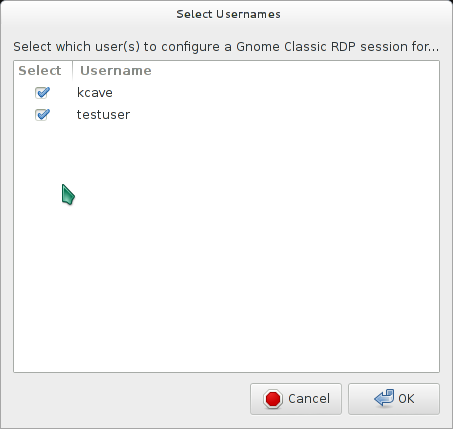 Rename that file to xrdp-sesman.old (or remove it – doesn't matter either way). 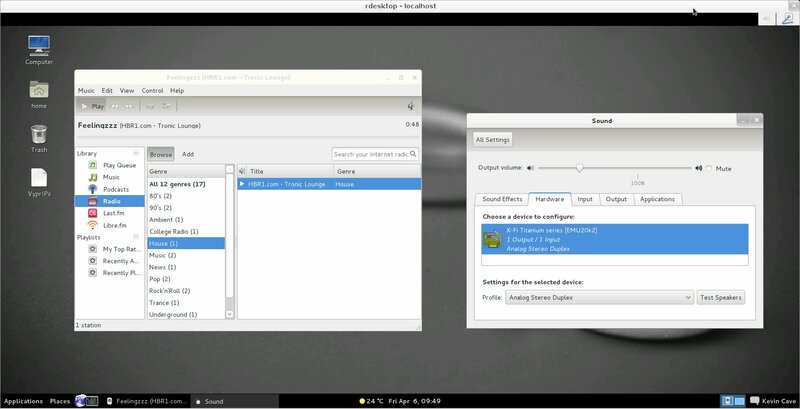 No need to restart the xrdp service. The common-* files have all been altered when you installled LikeWise/PowerBroker Identity Services to include the necessary bits to authenticate against AD. This should now mean your Active Directory users can now log into your RDP server. To log in, either put your DOMAINNAME\USERNAME combination, or if you have a simple AD setup, just the AD username – both worked for me – then your AD password for that user. What about using samba/samba-winbind? Would that be a similar setup? Just found your site today, liking your XRDP stuff, keep it up. I followed your instructions on installing X11rdp with your automating scripts and then these steps to get Active Directory based XRDP authenticaiton. It works with ssh just fine, but I cannot get a domain account to log in through XRDP. It will start connecting… looks like the authentication is fine… but then it simply blinks out. Is there a way to have windows automatically filling in the the AD credentials (always correct password), aka single sign on)? I’ve sent you something via PayPal, I like the way you are doing that here …. Any idea how to diagnose that password failed message? I know I’m using the correct password for my AD account, so thinking I need to configure something else. Any ideas most appreciated, thanks! Can you log into the system (directly not via RDP) as an AD user? One of the domain users can connect, two others cannot. All have plain ascii passwords. P.S. Seems a restart of xrdp daemon helped. Is it possible to specify which domain group/user can log use xrdp somehow?